My interest in paddling started in 2011 when my husband suggested I take a river instruction course in a local pool. I thought I should give it a try as it would be something that we could share if I could get the hang of it.. At first I was very timid. 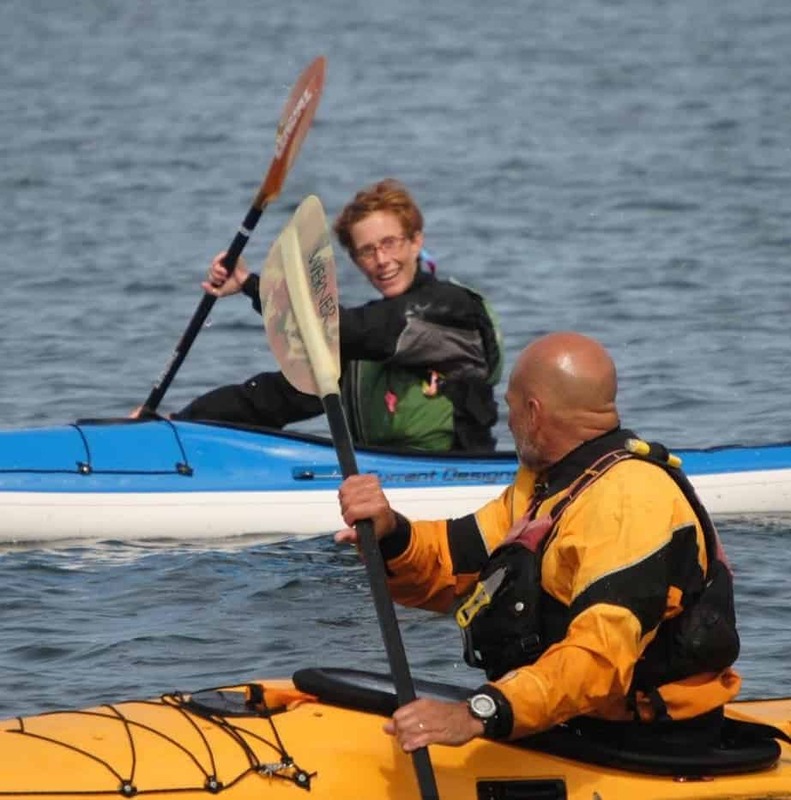 I had a lot of fear of the water, but with the coaching I was given, I slowly overcame the fear and developed an interest in kayaking. These coaches introduced me to both white water and open water kayaking. I later was introduced to Stand Up Paddle Boarding, which I also enjoy. My husband, good friends, and I spend a lot of time now chasing white water. We enjoy spending time together and sharing our paddling stories at the end of the day. We have also paddled around Belle Isle in Detroit, Tybee Island in Georgia, Matanzas Inlet in Florida, Ft. Myers Beach, FL, Lake Superior, Grand Cayman, and off the coast of Maine near Bar Harbor as well as other beautiful places. I really love being able to see areas of the world that you can only see from a kayak. I am an assistant coach in both white water and open water kayaking. I enjoy sharing what I have learned and my experiences with those around me. I get a lot of enjoyment in watching others grow and learn on the water. Seeing the improvements that they make while coaching is very rewarding. I earned my ACA L1 SUP in 2016 in Traverse City. I have taken steps toward achieving certificates in both Coastal and White Water Kayaking., I have an ACA Level 3 Skills Assessment in both. My first year at GLSKS was in 2014 and it was a blast. I attended as a student. I leaned a lot and had my first experience with Pictured Rocks. The experience and instruction I gained that year made me want to share what I was learning with others. I returned again the following year and that is when I started having an interest in coaching. The last two years I have returned as an assistant coach. The venue is also something that I was in awe of. Grand Marais is a great little town with truly beautiful places to paddle.